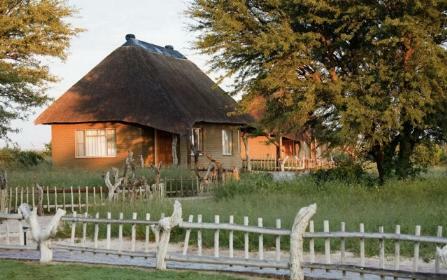 This lodge is somewhat different from most others you will encounter in Botswana. It is a family concern and hosts are a proud citizens of Botswana. Apart from the family the rest of the staff complement is made up entirely of San (Bushmen), most have worked alongside hosts' family for generations. In fact the family has lived in the western region of the Ghanzi district for over 120 years. 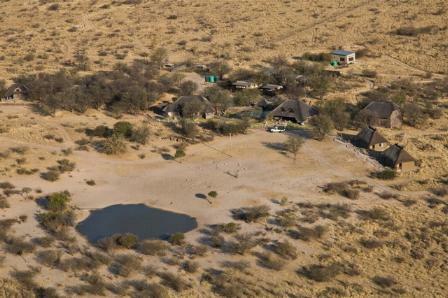 LOCATION: Grassland Bushman Lodge is situated on the western side of the Central Kalahari Game Reserve in the Ghanzi district of Botswana. The property is a private wildlife reserve of some 15 000ha. ACCESS: via private airstrip, 50 minutes from Maun or by 4x4 vehicle. The main complex area can be divided into three areas, a large lounge and dining room in one building, a huge covered bar area that also doubles up as a dining area/ outside lounge which is adjacent to the swimming pool. All of these structures overlook a waterhole where a huge variety of wildlife can be seen from the comfort of chairs or from the pool area. Our hospitality can best be described as home away from home, a sense of genuine ease prevails .... A relaxed and informal holiday - after all holidays are meant to be relaxing. 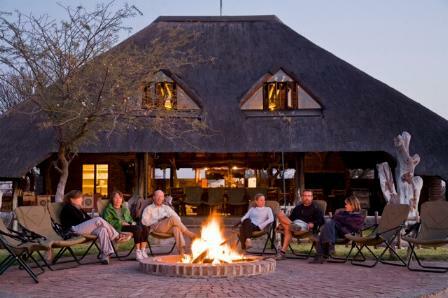 The lodge can accommodate up to 16 guests and hosts are also able to accommodate families in a special family unit. 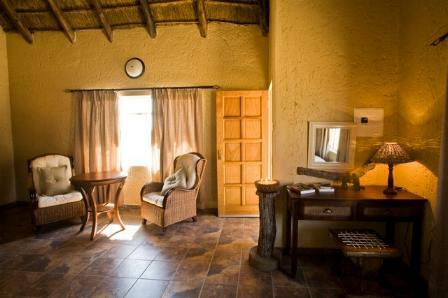 Accommodation is in comfortable en-suite chalets with shower, basin and WC. Electricity is provided during most parts of the day by means of a generator.